With January now upon us, you have probably heard something about the “transfer window” a time or two. And if you’re new to the sport, then you might be asking yourself what exactly a “transfer window” is. We here at Wrong Side of the Pond want to help. Below you’ll find sample excerpts from our collaboration with John Wiley & Sons Publishing — “Transfer Windows for DUMMMIES” — to help make things at least a little bit easier to understand during this chaotic period. SO WHAT IS A TRANSFER WINDOW? A “transfer window” is one of the predetermined time periods during the annual footballing calendar where clubs are allowed to register new players. Initially, they were organized to help streamline and regulate the transfer process and to help prevent agents from destabilizing players all year long — though they still do. Transfer windows are also said to make it easier for clubs to engage in long-term planning. Six months is long term, right? And last but not least, they’re meant to prevent wealthy clubs from making shady moves at the tail end of seasons to help boost their title prospects — a goal that might have actually been achieved. Now don’t be fooled: players are slaves to the clubs in between the windows. FIFA only requires that transfer windows regulate international transfers into a particular association, though a country can specify additional rules for their windows, too. Emergency acquisition and free agent signings are common. And at bare minimum, players can leave the country they’re currently playing in without the window being open — they just can’t sign for new ones. But for all intents and purposes, most clubs do a majority of their business during these windows. Fun Fact: Though practiced by most European leagues since the 1990’s, FIFA didn’t actually enforce transfer windows until 2002. Prior to that point, players could be signed by new clubs at any point during the season. 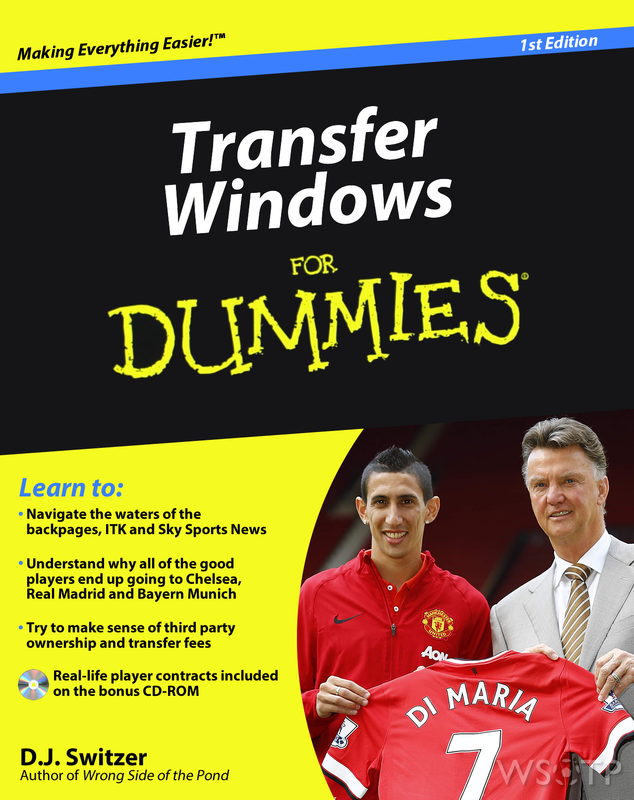 That said, the transfer windows that most people refer to are the English ones. Informally, clubs can register new players as soon as their current season is completed, but more formally from July 1st to September 1st, and again during the winter running from January 1st through January 31st. But the most frustrating aspect of the average transfer window? Despite being open for a month-plus in most scenarios, about 80% of the business is wrapped up on the final day. And that’s just the way the sharks in the media and agency markets like it. Fun Fact: As noted earlier, some signings can be made outside these windows in certain circumstances for reasons wide and varied. Free agent acquisitions, for example, are game whenever. Emergencies are another common reason, such as when all of a club’s goalkeepers are hurt and they need to bring in a new one on short notice to provide cover. But from there, things can get squirrely. Like if there’s a bank holiday on day after a window shuts and they extend it, or if there was missing paperwork that wasn’t submitted on time, or if someone has enough money to have the rules bent. A player may join a new club during the transfer window generally in one of three ways: by purchase, on loan or on a free transfer. Lets take look a little more closely at each. Purchase: The deals that get the most attention, this is where one club buys the playing rights of a player from another club, often for mind-boggling sums of money. Although less frequent, clubs can also swap players considered to be of similar value or do player(s)+cash deals when valuations aren’t apples to apples. But the principal remains the same: selling one asset in exchange for another asset. Loan: Imagine you have a player you don’t want any longer, but nobody is biting at your chairman’s asking price. Or maybe you have a promising youngster, but you can’t give him the minutes now that he needs to develop. Loans allow you to temporarily get rid of player, but still maintain his long-term playing rights. It used to be you’d see big clubs loaning to smaller teams, though there’s been a recent uptick in big teams taking on loans too. Free Transfer: Once upon a time, after your contract with a club expired, the club still retained your playing rights. So that means any team that was interested in bringing you in still had to deal with your on one. As you might imagine, players hated that. Now, when you have six months remaining on your contract, you’re free to negotiate with anyone you want — including your own club. Fun Fact: Free Transfers are often referred to as “Bosman Transfers”, named for former Belgian player, Jean-Marc Bosman. After his relationship soured with Standard de Liège as he neared the end of his two year contract in 1990, he hoped to move on to a new club in France. However Leige required any side interested in purchasing him to fork out a half million pounds for his services. When no deals came through, Leige reduced his wages by 75%. He took the battle to court and all the way to the European Court, and eventually won. However, Bosman himself never went on to find any greatness on the field. He was said to have blown most of his money, become an alcoholic, and land a stint in jail after assaulting his girlfriend and daughter. But hey, free agency was worth all that. Before a player can move and sign a contract with a new club, there are a few hoops he must jump through. Hoop #1: Someone actually has to be interested in your services. Hoop #2: Your club must be wiling to part with said services. Hoop #3: The clubs must agree to a transfer fee to facilitate the transfer. Hoop #4: The player must agree to personal terms — wages and incentives (peep this actual player contract if you want to see what those look like) — with the new club. Hoop #5: In most circumstances, players are required to submit to a medical screening to check and make sure they’re not broken. Fun Fact: From time to time, a deal for a player can fall through at Hoop 5 when a club doesn’t like what they see. French striker Loïc Rémy nearly signed for Liverpool this past summer, but the Reds scrapped the deal after they said they were concerned with the findings of his medical — he has had some dodgy knee issues. Dude landed at Chelsea instead, which was probably better for him all around. Holding up the club’s team shirt, optional suit-clad manager/chairman/agent beaming behind you. Signing a piece paper that may or may not be the actual contract — if so, taking care not to capture any of the language within it — obligatory suited big wigs beaming behind you. Giving a thumbs up in front of a giant club crest. Brazilians seem to love doing this. Giving a double thumbs up while being hooked up to medical machinery, mandatory doctor in the shot reading printouts from the machines. Hoisting up a team scarf in the stadium, possibly while wearing your new shirt, possibly flanked by the manager who is also helping you to hold the scarf. Though as you might imagine, there are things one ought not to do after signing with a club, too. Unless a product of the clubs academy or owning visual evidence of supporting the club, kissing the badge should be strictly off limits. You can’t possibly love the club that much already: you’ve been here 35 minutes. As Robinho foolishly once admitted after signing for Manchester City, you should never acknowledge you thought you were signing for another club. You don’t need to give home supporters any reason to not like you. Make up things in the post-signing interviews. See the “Fun Fact” below. Slag off your former employer. Because your new club now knows you will do the same to them when the relationship inevitably sours. Fun Fact: If you sign Robbie Keane, he will say that he dreamed of playing for your club as a child — even if it didn’t exist when he was a child. Nobody, and I mean nobody, provides more in-depth coverage of the transfer window than Sky Sports News. And on the final day of the English window, the UK’s ESPN switches to special “Transfer Deadline Day” live coverage to give viewers live updates on all the happenings. Hundreds of their reporters fan out across the continent, hovering around outside training grounds, stadiums and airports with crowds of dimwitted supporters waving in the background of every shot. They’ll most like report on nothing, but do occasionally catch a shot of a player linked to a new club exiting the building “in a rush”, “clearly agitated” or remaning “completely silent on the matter”. Every 30 seconds the programming will be interrupted for “BREAKING” news over something like an agent having a coffee with a guy who looked like José Mourinho wearing a hoody. QPR’s Harry Redknapp will repetitively drive in and out of the club’s Loftus Road parking lot until he gives his annual Deadline Day interview from his car. And you won’t be able to turn away. Fun Fact: It can be dangerous on the scene for said Sky Sports reporters. No matter what their most dire need is — and for the last decade, that’s mainly been a battling, box-to-box midfielder — Arsenal will NOT be signing that type of player. Instead, they’ll bring in a very skilled, lightweight wide attacking player with oodles of promise even though they have six of them. Additionally, manager Arsène Wenger will attempt to convince Gunners the world over that the return of a long-injured player is as good as a new signing. Fun Fact: Arsenal sold one defender and loaned out another in the last summer window, leaving them with only six first team defenders going into this season. Predictably, most of the year they’ve had at least two of them out with injuries. Even if every news outlet is reporting a signing looks certain or everyone on Twitter is talking about how stoked they are to have landed Nicholas Bendtner, if the club haven’t officially announced the transfer on their website — it isn’t a done deal. It could just be a really well crafted fib, or something could have fallen through at the very last moment, or they could be waiting for one last document to come through before announcing. And that’s what can make transfer windows so difficult to handle. Not helping the equation are the news outlets. Sky Sports, ESPN and all the European papers love the transfer window as it allows them to profit off the hopes and dreams of fans like you and I. They’ll pump out thousands of column inches and produced countless hours of television segments on the back of just about any prospective deal they’ve caught wind of. And they’re not beyond fabricating them either. Often times they’re carefully worded so as to seem legitimate, but they’re also ambiguous enough to not be considered lying if the deal doesn’t come to fruition. Those stories are inescapable: they’re on the internet, on your TV and in the back pages of the papers, on your phone and telepathically sent to your brain. So be sure to take every link you read about with a massive grain of salt. Also, do yourself a favor and steer clear of ITK accounts on Twitter: short for “In The Know”, these guys get more wrong than they do right. Fun Fact: Pior to the closing of the summer transfer window in 2013, everyone reported that Tottenham had signed Shakthar Donetsk attacker, Willian. In the middle of his medical prior to signing a contract with Spurs, the Brazilian got a call from his agent, hopped up off the treatment table in North London and drove across town to sign with Chelsea.